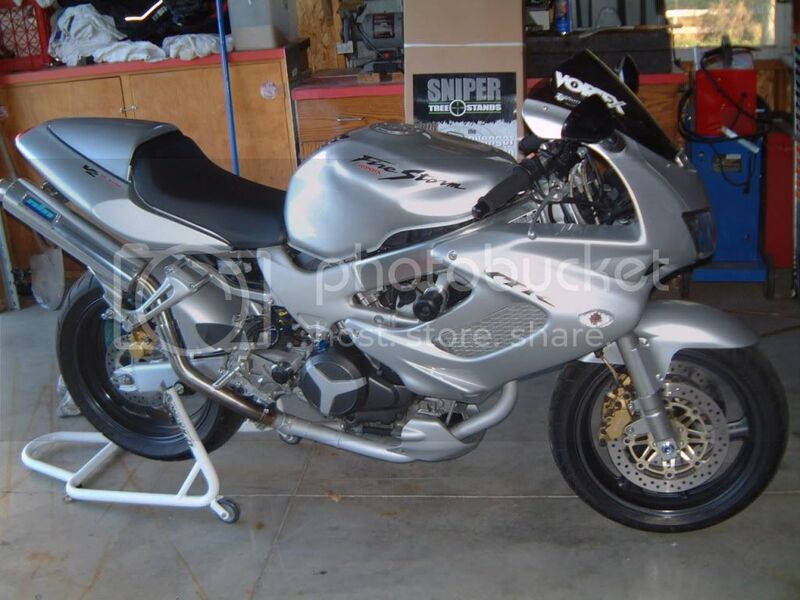 Lots of add ons- rearsets, woodman clip ons, upgraded suspension, pipes. Now just got to keep my boys from going numb when I ride it for more 30min. Fun bike! Nice, like the high pipes. Are the bars wood-man or wood-craft?